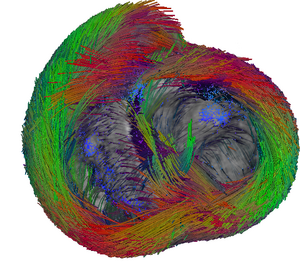 This statistical atlas was created using the Diffusion Tensor MRIs acquired by the Center for Cardiovascular Bioinformatics and Modeling which are available on the web. 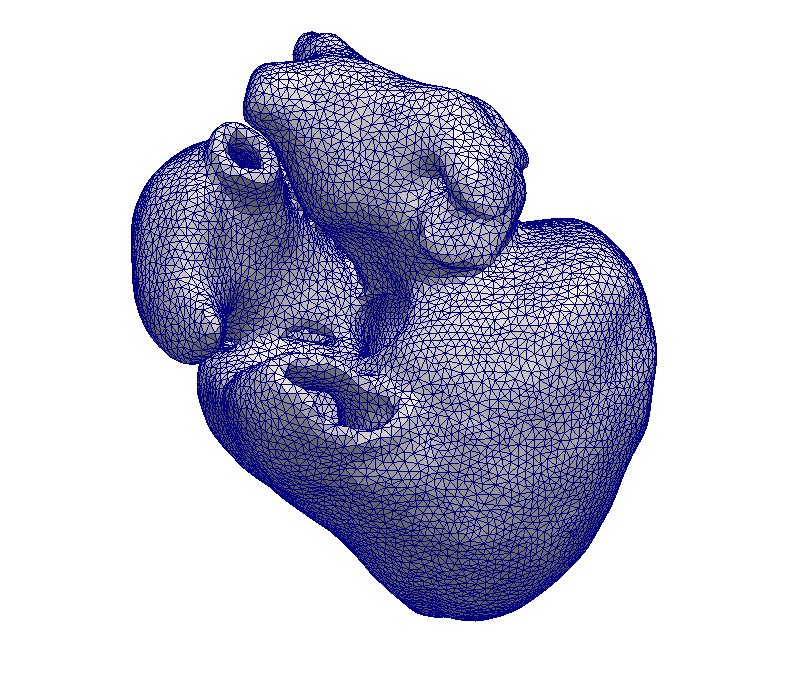 A Computational Framework for the Statistical Analysis of Cardiac Diffusion Tensors: Application to a Small Database of Canine Hearts. J.-M. Peyrat, M. Sermesant, X. Pennec, H. Delingette, C. Xu, E. R. McVeigh, N. Ayache. IEEE Transactions on Medical Imaging, 26(11):1500-1514, Novembre 2007. PDF. 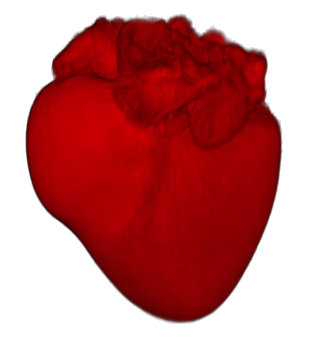 Mean Anatomical Image (2.5 Mo).This is a grey level image averaging all the registered B0 images. 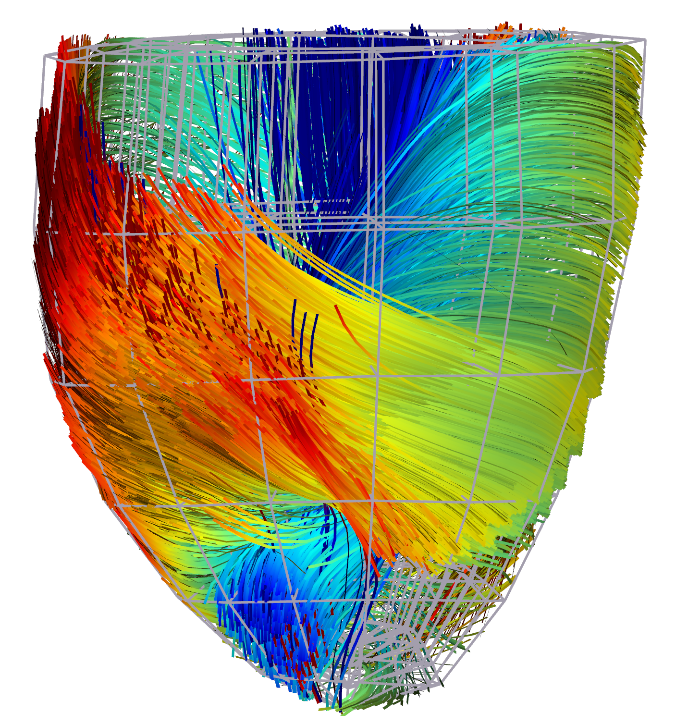 Mean Tensor Image (34 Mo). 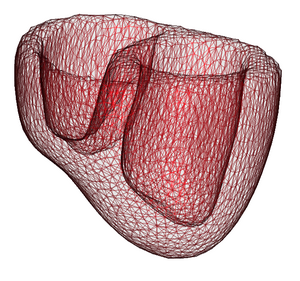 This is a tensorial image (each voxels contains 6 values) of the mean tensors from the registered DTI. Mean Fibres (120 Mo). This is the results of a fibre tracking in MedINRIA. 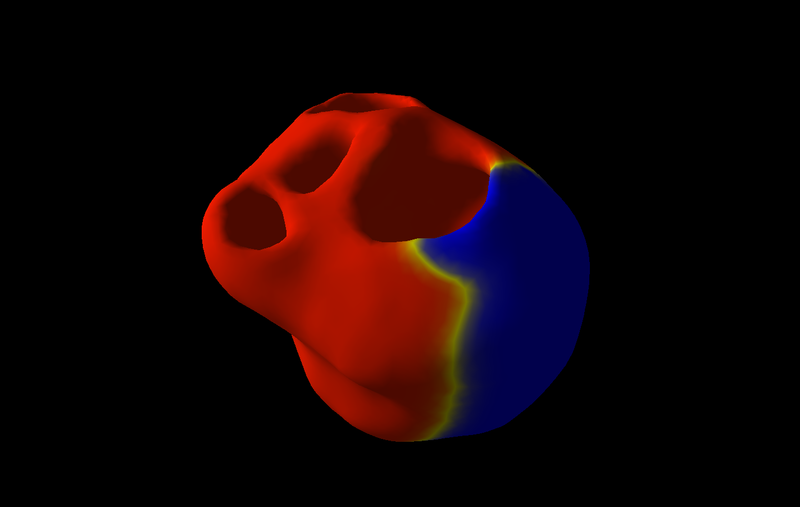 Other tracking parameters can be tested directly from the tensorial image. 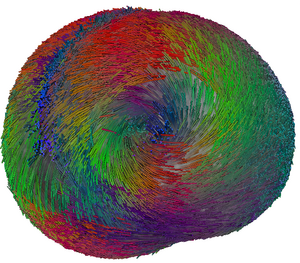 Tetrahedral Mesh extracted from the Mean Image with corresponding fibres (1 Mo). 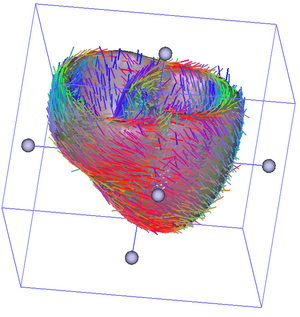 This is a tetrahedral unstructured mesh where each vertex has been assigned a fibre direction using the mean tensor image. 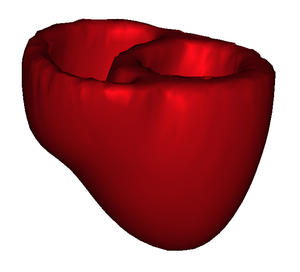 The images and fibres can be visualised with the software MedINRIA, which is freely available for download! 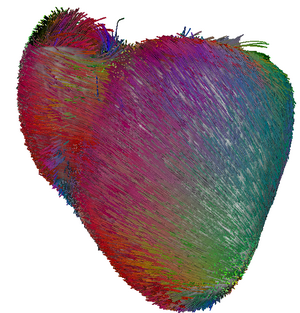 The mesh with the associated fibres can be visualised with CardioViz3D, a version with basic toolboxes is freely available!